Dominant Environment: Many deserted cities interspersed throughout the planet. The remains of many mining operations production facilities and other metallic works corroded by rust, indicating a race having been there between one and forty years ago. The landscape is peppered by caves, holes and other abrasions in the earth. The only power source powering the planet, a giant solar gathering plant located next to the star, suddenly goes off, sending a giant pulse. The pulse is sent on in such a peculiar frequency it transmits to any race within the galaxy. A small ship appears several kilometers from the planet. It does not match the configuration of any known vessel. Without moving, it begins broadcasting signals in mathematical patterns. A more powerful signal is directed away from the planet, seemingly towards wherever it came from. The planet silently turns with the faintest difference being a small wave in an ocean caused by the new object in orbit. Hello, we jumped into this system because of a strange signal and were curious to find a new race here. We are searching for resources and wish to colonize the planet. The message was sent with a dictionary to translate it. Then the ships begin to scan the vessel taking note of the lack of weapons on board. They also scan the planet for resources of use and a suitable landing location. All signals come to an abrupt halt. The ship floats around silently for several minutes. Occasionally small thrusters adjust its orbit. Finally, a signal is sent in response. It appears to be some basic information on the Kazar, such as their appearance and written language. Their language seems utterly indecipherable. Daylight breaks on the surface of the planet. A slipspace rupture opens, and a small vessel exits. The vessel sits at merely 65 feet long, 70 wide. The vessel scans the region, before sending a message to the vessels within the region. The message is sent with a visual dictionary of the Zaedrax language. A small shuttle is released from the vessel and it would lower itself into the atmosphere, scanning terrain and attempting to locate a suitable landing area. There are many suitable landing locations on the desolate side of the planet including hospitals, military bases and star ports among others. The sun makes finding a landing zone incredibly easy. The night side of the planet is devoid of all light and would take a long amount of time to find anything suitable until the sun washes over it.. The signal is broadcast continuously and reaches all ships in the area. "Journey" begins to descend, searching for a landing site near one of the abandoned cities, on the day side of the planet. Landing would reveal empty metropolitan areas with no signs of life in any direction. 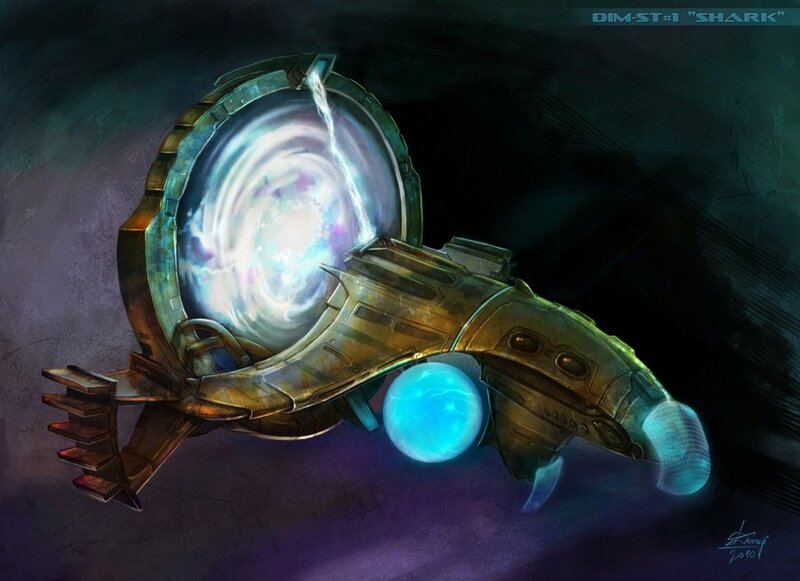 The Rhyndir ships would land on another part of the day side of the planet and begin to scan for valuable resources and technology. We have no issues with you scanning the planet. We wish to gain some valuable resources here if it is at all possible. We will peacefully set up a mining facility on this planet. You may do what you wish where you are. The ships then let out some workers, wearing full body protection, to unpack communications equipment, sealed living containers, and mining equipment. The scans would reveal primitive pre-space faring technologies. All these areas are uninhabited, but still functional, only requiring moderate work. The locations include hospitals, refineries, production lines, mining operations and anything a 21st century Earth would be capable of. The resources, having already been tapped, include iron deposits and granite deposits in abundance. Many other mines are located all over the planet with varying resources. One of the ships leaves the planet and then system to return to its home planet. The workers are left behind and begin filling the other ship. Some scientists begin to exit the ship in protective suits to study the nearby city. They analyze the equipment for damage and usefulness. The scientists analyze the environment as well for biological organisms and atmospheric conditions. The unidentified ship opens up, and a few tall, vaguely humanoid beings emerge from it wearing some sort of pressure suits. They are the first of their kind to set foot on this planet. They poke around the landing site, taking samples of minerals and pieces of junk lying around. A leftover vehicle is of great interest to them. Though unremarkable, it was undeniably built by a civilization not unlike their own. More impressive still are the huge towers that dominate the skyline. Aboard the vessel, further efforts are made to communicate. The language barrier proves vastly difficult to break, and so Journey is limited to emitting a series of mathematical patterns representing different physics equations. Without a doubt, the other ships traversing this planet also belong to intelligent civilizations, but it is a mystery where they originated. A picture of Kazon-2 is sent with the Kazar equivalent of the word "Home" next to it. It is unclear if anyone would grasp its meaning. The long days of the planet hit roughly halfway, the sun is directly above everyone in the sky as of now. By now the workers have set up the equipment in order to mine copper and silver along with other minerals such as iron. The heat of the day not bothering them because of their temperature resistance. The small shuttle detects a suitable location, at the midpoint between where the two nations have landed, but further out, making each landing site form a triangle. It would be located close to the ruins of a city. The shuttle relays the information back to the vessel, and it lands a good distance away from the site. Two drones exit the shuttle, placing a marker at the correct landing position. They enter the shuttle once more, and it moves into the city, scanning the structures' designs, possible purpose, and material. The vessel receives the data sent by the unknown vessel, which AI quickly decode as physics equations. The other information is decoded, and reveals a planet which is easily identified as one that isn't within the system. The AI predict that the planet may be a colony owned by the other race, and begin to compare the equations and format with current versions of Zaedrax binary. After finding the closest match, they prepare a message in said binary and also a translated binary version of the Zaedrax dictionary. The vessel descends into the atmosphere, landing vertically upon the marker. The once-glowing halo on the back of the vessel spins itself to dig under the planet's surface, covering only the ring. Contrary to standard Zaedrax procedure, the entire crew of the vessel emerge, a mere twelve crew members and a dozen more garrisoned soldiers. Each stand at their typical nine-foot height, some lugging supplies around. One prominent Zaedrax walks to the hull of the vessel, and fluidly swipes a few commands into it before a small button unlocks itself. The glowing blue button is pressed in, and the vessel begins to rumble. Projected from the tip of the vessel are four spires, which mark out a large plot of land. The spires remain a projection, and many more projections of structures and infrastructure appear. The vessel sitting in the center of the projected barrier, begins to burrow further, and underground multiple tendrils emerge, burrowing further in search of mineral and metal deposits. The tendrils also head towards the more damaged structures in the nearby city, cannibalizing them for materials. The vessel itself also cannibalizes, as well as using up the metals within its storage. Drones emerge from the vessel, flying around and using the gathered resources to begin making the projected buildings a reality. The buildings begin solidifying, the hardlight forming the structures. Metal is moved by the drones to begin reinforcing the hardlight structures, and the colony slowly comes to fruition. The scouting party continues exploring, with some venturing into one of the buildings. They go from room to room, inspecting the artifacts left behind. Occasionally they take something and place it into a large bag carried by one of them. Then they climb the stairs and move onto the next floor. On the ground, Journey remains in place as communication is attempted. Finally, a message is sent in the Zaedrax language. "Hello. We are Kazar. Is good meet you." Roughly the same message is sent to the Rhyndir Union, minutes later. The clock continues to round its circular pathways. The sun begins its descent from and crawls toward the edge of sight and darkness starts to fall on the very outskirts of the cities. The planet's first night is almost upon all the races. Old streetlights begin powering up and illuminating the areas. Buildings start shining, many broken and destroyed. Music fills the air as the ghosts of dead races inhabit their quiet planet. Soon it will be dark on this quiet planet. The living quarters of the workers have been set up, as the workers have mined many minerals during the latter half of the day. The scientists have returned with plenty of data from the city and the things within it. The Transport has returned to the system with a cargo full of colonists to inhabit the claimed area. It also brings building materials for the colonial buildings. The shuttles would wrap up any findings, and return back to the colony. The progress being made is impressive, but the colony's resources are fully dedicated to its construction, not yet yielding any benefits. Multiple distinct structures become apparent, including the finalization of the guard spires at each corner of the colony, a central government building, and multiple barracks and housing units. The tendrils from under the colony continue their digging, projecting beams of energy to pry ores and minerals loose from their surrounding rock, pulling them back up to be refined and incorporated into the colony. The commanding figures of the voyage sit in the central building, and after receiving the message from the Kazar, prepare their own message after continually tweaking the format for better sentence structure. "Hello Kazar, the pleasure of meeting one-another is mutual. We plan on establishing a colony on this planet in order to relieve the burden of the refugees emerging from our own homeworld. We would like to further extend diplomacy and peace with your nation, and meeting you on this planet would help towards that goal. If you so desire, a diplomatic convoy would be sent to meet you at any coordinates you were to send us. In addition, we will be sending the coordinates to our diplomatic and trade station, and we would wish for you to visit there when you have the opportunity." The promise is kept, and the message also contains the coordinates to a area located within Sector 25.